Find this poem and read it. I don't think I had ever read a poem with such apparently simple language that just cut me to the core. Sliced me open. One of the poets was Shaindel Beers, a professor of English at Blue Mountain Community College in Pendleton and author of a new collection of poems titled A Brief History of Time, published by Salt Publishing out of the United Kingdom. I heard Beers read several poems from her book and was astounded by their frank honesty and contemporary themes. In recent years I have grown incredibly tired of obtuse and gutless poetry and there is nothing obtuse or gutless about Beers' poems. They strike straight and true. Remaindered novels washed up on the shore. Over the pebbles towing a little carriage. Of man’s cruelty in the name of research. You had a moment ago. Visit the new section on Salt's site devoted to the Writers, and find out more about Shaindel and Luke... and many more I look forward to discovering. Nothing I can say is adequate. Her writing speaks for itself. More poetry. More and more. Back to the regular and joyful talk of short stories! I was eagerly awaiting the announcement of the winner of Columbia Journal's Fiction contest because it was judged by Diane Williams, editor of NOON Annual and writer of wonderfully surreal and often very very short stories. This was not a flash fiction contest - although the entry requirements are no longer on the web site, I submitted a story myself and remember the word limit being several thousand words. 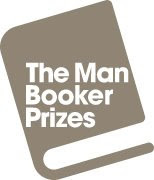 So imagine my surprise - and delight - to see that the winner is a tiny short story, several hundred words long: Register, Please by Jonas Williams (no relation, we assume!). Congratulations to Jonas, whose story is also wonderfully surreal. (The link that appears to lead to his story on the site is a broken one, but I read the story in the new issue of the Columbia Journal, well worth buying). This is wondrous because it flies in the face of all those assumptions that we can't submit flash stories to "full length" short story competitions. Ms Williams looked at the quality of the writing, not at the length. And thus, she chose. How many judges would do this, would not be swayed by word limits, by the sensation that a flash story, when taken together with longer stories, does not have the heft? I wonder. It's an interesting one. What did Sarah find in her pile? A lot of first person narratives, many more stories about friendship rather than romance, and not much humour. Anyone planning to submit to a short story competition would do well to read her blog post, Nuala's from her stint as judge the Sean on Faolain competition and Vanessa when she judged the FISH One Page competition, for strong hints about how to stand out from the teetering pile a judge receives. Good luck! This is still hard to write. A week later, and the anger and distress I feel at having one of my stories "stolen" and published under someone else's name is still raw, still cuts deep. The fact that, several days after this revelation it was discovered that this person, a former writing colleague, stole an idea from a mutual friend of ours and once again passed it off as their own and will be published, only deepened the shock, the anger, the distress. I am not going to "name and shame" here, partly because I don't believe this person can feel shame since this person did what they did with full knowledge of their actions, and partly because I don't behave like that, it's not me. Those who need to know, know. Suffice it to say that many of us are watching this person very closely and should there be any hints of such behaviour in the future, the gloves will be off. Thank you to all of those who have emailed and expressed their support, it means an enormous amount. This person is a disgusting minority, thank goodness, a parasite who prefers to steal the creativity of others than work on their own talents. The writing community will not stand for this. In an attempt to strike a more positive note, I have just been on an overnight writing "retreat" with my writing group here, and it was just wonderful. I hadn't been able to write since the plagiarism issue surfaced, but during the 24 hours we were together, we each ran a session, talking about, among other things, endings, "found" words (interesting in light of the above! ), being inspired by Elizabeth Bishop's poetry, and how we can change the sense of time in our writing by looking at Tobias Wolff's Bullet in the Brain. During the first session, I wrote two "endings" for two stories whose endings had been a mystery to me: just being given permission to write an end without having the middle opened the floodgates! I ran the final session, in which I "made" my fellow group members press the button to submit a story each, most of them for the first time! They had sent me stories in advance, I decided where each one should be sent to, then today I ran through the basics about submitting fiction and then set up each submission so that all they had to do was hit "Send"! Nerves were a little frayed, photographs were taken, but now each of them has their work "out there". And that is progress, whatever happens next. I have come home with five new pieces of writing, two prose poems, two "endings" one of which may stand alone, and a poem. We inspired each other, with no need for a paid teacher to come in from outside. We wrote, we talked about writing, we read. Heavenly. Why hadn't we done this before, we all said? We will be doing it again! I also came home to discover that The White Road and Other Stories has almost run out in the UK and a new print run will be called for, which is due to the fabulous response to Salt's Just One Book campaign. And the campaign is gathering steam: Chris Hamilton Emery will be interviewed on the UK's Newsnight television program, BBC2, 11pm tomorrow night. I don't have any more details, will most certainly post again when my UK-based contacts have reported back. Whatever happens, it will be great for Salt and for all small presses. OK, I am off to work on the June issue of The Short Review. Short story collections can't wait! (Alice Munro, we love you). Bye. Where to begin? What a week! The biggest short story news surely must be today's announcement that Canadian writer Alice Munro has won this year's Man Booker Prize. An award-winning short story writer, a recent article in the Canadian National Post newspaper reports that Munro pokes fun at the attitude to short stories in a new story of hers, Fiction, in which the main character discovers she is a character in a book. "When she finds out it's not a novel, it's a collection of short stories, she's horrified," says her editor, Doug Gibson. In the story, Munro writes, "It was as if the author was hanging on the gates of literature rather than fully admitted inside because she was only writing short stories." 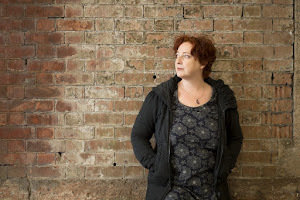 While those of us who understand very well the power of the short story would take issue with the "and yet" - we should hold our tongues and just celebrate this wonderful news that a stunning and inspirational writer has been recognised! Alice Munro's new collection, Too Much Happiness, will be published in October. Can't wait. Visit Alice Munro's Wikipedia page for more information. 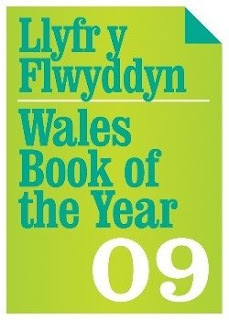 Second , the Wales Book of the Year award English-language shortlist is announced, and it is novel-free: two short story collections and a collection of poetry, and all by female authors. Deborah Kay Davies' debut short story collection, Grace, Tamar and Laszlo the Beautiful, a short story collection from award-winning novelist Gee Williams, Blood Etc, and Samantha Wynne-Rhydderch's second collection of poetry, Not in These Shoes. Congratulations to all. The winner will be announced on June 15th. The $10,000 prize – named in memory of the writer Danuta Gleed, and administered by the Writers' Union of Canada – toasts the nation's best English-language debut short fiction collection. A very short blog post from me today - I would like to direct you over to Vanessa Gebbie's Flying Fish Tale where she has, very beautifully and in her own poetic way, illustrated by way of fiction the danger that artists and writers face when our creativity is out there in the world: the danger that someone who cannot or doesn't want to do their own work to find their own uniqueness and voice, will sample ours instead, something she and I have both, distressingly, discovered in the past week. Lovely news and lovelier news! First, and most wonderfully, huge congratulations to friend, fellow writer and blogger Women Rule Writer (aka Nuala) and her partner on the arrival of their daughter, Juno, a brother to the boys, born on Thursday. And, just as a little icing on the cake, Nuala has also been shortlisted by the Irish judges for the European Prize for Literature. Not bad, eh?? Surprising and delightful, I would say. In the next eight hours, I receive hundreds of notes of support. We receive 122 orders and sales begin to grow, around £2,600 before we switch off our lights and close the bedroom laptops. Something extraordinary is beginning. ....Hundreds more orders have come in. Everyone is picking books from the shelves, packing and franking post. There’s a system emerging. Tom handles the UK, Jen is drop shipping orders in the US, Charlotte is handling unusual and awkward orders where stocks are in multiple locations. I’m given the task to spread the word. By the end of the day we’ve taken a further 260 orders and the news of Salt’s plight is going global. ...Hits to the Web site explode. Friday 22 May, the team have managed to catch up with the previous afternoon’s orders. The Bookseller pick up on the story. The phone doesn’t stop ringing. During the course of the day, a further 157 orders come in. Twitter is full of the news, our authors are picking up on the story. It seems as if everyone we’ve known is pulling together to save Salt. We’re overwhelmed. All I can think of is the closing scenes of Capra’s It’s a Wonderful Life and Jen and I are James Stewart and Donna Reed. I wonder if it will continue, if it does, in 18 days we’ll be saved, in 30 we’ll be able to take the business forward. Saturday 23 May. A further 51 orders have come in this morning. We’ve vowed to stop drinking in the evenings. We need all our wits. 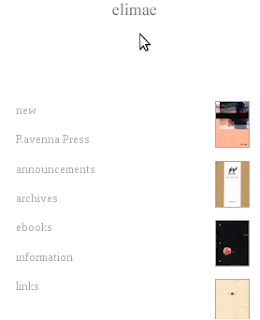 ...I soft launch the new author portal. I cycle back to feed the kids and swap over with Jen. She heads off to package up more orders. We’re overwhelmed, astonished, humbled. Humbled. How often do we use that word in business? This is fantastic news... a number of us have hit Amazon UK's Bestselling Short Stories list, orders are flooding in. But it's not over. Don't stop. As Chris says: " in 18 days we’ll be saved, in 30 we’ll be able to take the business forward." Let's take this all the way, let's enable a small independent publisher who promotes short stories and poetry like no-one else to stand on its feet, to operate as a business that doesn't have to plead for salvation. They produce beautiful books, they champion great writing. They want to grow. Yes, books are not cheap, but a world without Salt and other wonderful small presses who do what no-one else will do would be a sorry one indeed. Salt changed my life. Salt made my dream come true. So, buy one book. Just one. Poetry. Short Stories. Not just directly from Salt - from Amazon, the Book depository, Waterstones... your local bookshop! And pass the message on. Amazon Bestselling Short Stories - thank you all! I have to blog about this even though - or because - it is so fleeting and will be gone shortly. This hour, The White Road and Other Stories is No 4 in Amazon UK's Bestselling Short Stories chart. 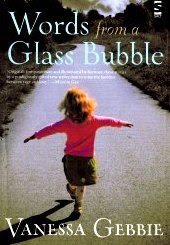 And that's not all - my fellow Salt author Vanessa Gebbie's Words From a Glass Bubble is at No 12, Elizabeth Baines' Balancing on the Edge of the World is at number 34 and David Gaffney's Sawn-Off Tales is No 40. Thank you everyone for supporting Salt - we really appreciate it, it means so much to all of us. I am honoured to be guest author over at Ravi Mangla's excellent new Recommended Reading blog, talking about books I've read and loved, not loved so much... and some of my favourite science-inspired books. Check it out, and the other interviews, each of which ends with a differently-themed reading list. 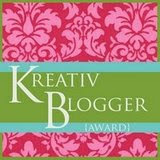 Thanks, Ravi, great idea for a blog. We all need recommendations. 2. Share this. Tell your friends. If we can spread the word about our cash crisis, we can hopefully find more sales and save our literary publishing. Remember it's just one book, that's all it takes to save us. Please do it now. And these are just some of the short story collections, there is a wealth of wonderful poetry too. Now is the time - buy a book! You don't have to do it through Salt or Amazon. The Book Depository has free shipping worldwide. Current and future Salt authors thank you! AND - don't forget you still have 6 days to enter to win a free signed copy of The White Road and Other Stories! See my guest post on How Publishing Really Works. Well, several bits of good news to report! 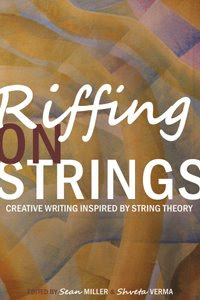 First, Riffing on Strings, the excellent anthology of creative writing inspired by String Theory, which contains short stories, plays, poetry and essays (among them my flash story, Secrets), has been awarded a Silver Medal in the Independent Publisher Book Awards. Very well deserved, this is a richly imaginative anthology, certainly not just for those who actually understand String Theory is (there are four people worldwide, I believe, not much of a market)! Get yourself a copy. Second, another wonderful book. 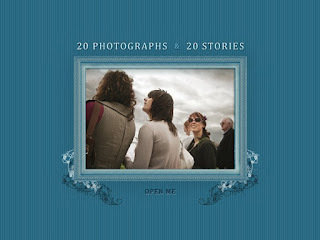 My blogger friend and writing colleague Nik Perring, together with photographer Katherine Elizabeth Lewis and 18 other authors - including me, Caroline Smailes, and Vanessa, who won Nik's blog competition - has produced this beautiful limited edition book of 20 stories, poems and haikus and the 20 photographs that inspired them - to raise money for the East Cheshire Branch of the Alzheimer's Society. Enormous kudos to Nik for putting this book together in four weeks! It just shows what one person can do. I am extremely impressed and deeply honoured to be included. All the profits from the book, which costs £14 and is available from www.eastofnorth.comand www.nperring.com will go to the Alzheimer's Society. Both these books were produced with love and dedication by just a few individuals - no large publishing houses, no agents, no "big names". Just great writing and beautiful books. Please support them. Thank you. I said no to something. Today. Well, a few days ago, but seems there was a miscommunication so I had to do it again today, which was awkward. It's a writing-related something, which is why I'm blogging about it here. I just realised how hard it was to say I couldn't do it, because of that little voice at the back of my head saying "You must do everything, you've got to promote yourself, promote your book, can't say no, can't say no. But doing this thing would have been extremely stressful. Not because of the thing itself, but because of the timing. Due to events that have occurred and decisions that have been made since the possibility of this first came up. Things are not as they were a few months ago. And, given how unwell I have been, and how stress and being in public have exacerbated this, I finally made the decision to say no. No. There is so much in my mental make-up that is trying to resist. So much guilt. Must do it, can't let anyone down. Must do it. It's writing! You'll love it. No. I said no. I meant no. I had to do some tapping to get rid of the guilt. But this is good. It is good. Hard. But good. ...stories seem to me more like poetry than novels, and, having written both stories and novels, I’d also say that in this way they are harder (but also wonderfully satisfying) to write. And the experience of writing them is very different, I find. Writing a novel feels like an ongoing forwards rush (however non-linear the novel), but writing a story is like dropping a stone into water and watching the ripples as they form outwards in every direction. 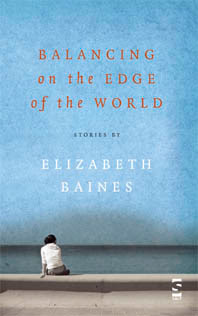 Elizabeth ends on an optimistic note about the short story (and mentions me, thank you Elizabeth!). Read her article here. I got an email this morning from the lovely folk at the City of Derby Competition, so I am assuming entries haven't been as plentiful as they had hoped. Here's your chance! £500, £250 and £150 for first, second and third places. Deadline is 31st May, word length 5000 words, previously unpublished stories only. £4 for the first entry, $3 for any subsequent entry, postal and online. International entries welcome! Also with a 31st May deadline is the VS Pritchett Memorial prize, offered by the Royal Society of Literature, which this year is in collaboration with Prospect magazine, and the winner will be announced at the Small Wonder short story festival in Charleston. Only open to citizens of the UK and Republic of Ireland, or those who have been resident for at least 3 years. Winner receives £1000, last year four runners-up were also announced. Entries must be unpublished and between 2000 and 5000 words. Postal entry only, £5 for each story, click here for the Entry Form (PDF). A competition to start writing a story for now is the Flatmancrooked short story competition, judged by the wondrous Aimee Bender. Word limit 7000 words, deadline Aug 15th, first prize $1000. The first 50 entrants receive a free copy of the magazine's Winter issue. Online entries only, $15 per entry. Entries must be "previously unpublished and unawarded, and not accepted by any other venue at time of submission or at any other point when the contest is open." Also, writer service announcement: for those of you who entered the Binnacle Ultra-Short Competition, if you didn't get the email this morning, they are apologising for the delay and will have results by June 15th instead of May 15th. How kind of them to let us know, well-deserving of Vanessa's Courteous Editors Award! When I started this new habit of announcing, to the day or whatever higher power, "Surprise and delight me! "as I got out of bed, I didn't really believe it would happen. At least not on a daily basis. But it has. Someone could argue that I am now noticing things more, or allowing myself to be delighted where I might not have been - but whatever the case, I am surprised and delighted pretty much on a daily basis! Today's surprise came in the form of a blog post over at the Emerging Writers Network. I had submitted a review to the EWN of Alexandra Chasin's short story collection, Kissed By... , as a guest post for Short Story Month, which was published on the blog two days ago. I thought that was it for my appearances over there. Then just now I got one of those most useful Google Alerts, I check out EWN, and there I am again - but this time I - or one of my short stories - am the subject! Dan Wickett is discussing On A Roll, one of the stories in The White Road and Other Stories. He discusses a particular aspect of the story, and I won't give it away here, pop over there and see what he has to say. He is most kind about my book, which is the delightful part! He asked me a question at the end and so I broke with protocol and left a comment to explain a little about how the story came about. So, another week starts and now that I have broken through the 1000-word barrier (I wrote a short story last week which is a mammoth 1200 words), I am expecting to push that a little further, and perhaps not write any flash stories for a while, to try and wean myself off the thrill of instant gratification. We will see how that goes. In Appreciation of Swiftly-Responding Lit Mag Editors! This morning's response to my "surprise and delight me" request was the new issue of online literary magazine Elimae. Yes, I knew it was coming, but I had forgotten it was today - so it is possible to be surprised and delighted by something that you knew about, if your memory is a little faulty! I want to take a moment to appreciate Coop Renner, Elimae's editor. There is often much grumbling between us writer-bloggers about the slothfulness of magazines' responses to our submissions. Grumbling turns into gnashing of teeth when months or even a year has passed with no response at all. Why can't they just send out an email? we wail. Just to let us know if... maybe... or a direct no. How hard can it be. Coop Renner puts them all to shame. Not only does he send personal and gentle rejections, he replies within 48 hours, often within only a few hours. I don't know what sacrifice he has made in his life in order that he can do this, but I do know that it has elevated him to mythical status in the eyes of many of us. We feel appreciated, our needs understood, even if we are rejected and rejected and rejected again. And again. "Let's do this for the May issue, which should post about the 15th of the month. It's almost a poem." Shocked, surprised and delighted. Here it is, my almost-poem, Up Far and Everywhere (thanks Nik for the inspiration). The whole issue looks wonderful, some names I know, some I look forward to getting to know. Submit to Elimae. Vote with your feet/short stories. Thanks, Coop. It is not often I mention people on this blog from my offline life (!!). Here are two: My friend and writing group member, Nadia, has a flash story, Photographic Memory, up today at Every Day Fiction. This is her first published short story - so raise a glass and toast the newly-published writer! May this be the first of many, many more! (And do go and read the story, it's wonderful). 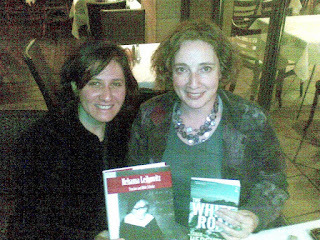 This picture below is me and my book, and my friend Yael and her book. Taken last night in a cafe after a reading we'd been to by American author Marita Golden. Afterwards, we went and discussed how great it was to go and listen to an author, while sitting there and thinking, I am an author too. Is there anything more thrilling? I don't think so. 57 Story Collections on Frank O'Connor Longlist 2009! Well, what a day! The longlist for the Frank O'Connor International Short Story Award has just been announced - a record 57 short story collections! The White Road and Other Stories is among them - every eligible short story collection submitted by the publisher is longlisted, a wonderful boost for the short story. Visit The Short Review blog for the full longlist, it's a joy to read, with big names like Ali Smith and Mary Gaitskill alongside us small fry. Congratulations to all! Over at the How Publishing Really Works blog today is the second post in the set of three about my collection and how it came to happen. The first post last week was Yours Truly telling the story of The White Road and Other Stories, from book deal to book promotion. Now my wonderful publisher, Jen Hamilton-Emery of Salt, tells the story from her side, the struggles and joys of being a small press. For a small press to survive and thrive, it has to find its niche. Forget trying to compete with the big guys; many of them happily sell shed-loads of books at a loss, aiming for quantity over profit and instead making their money on the selling of TV, film and translation rights. Small presses however have to think smart. They have to become known as the best in their chosen field, and some have done this extremely well, becoming the leading expert in areas such as welding (Woodhead Publishing) and autism (Jessica Kingsley Publishing). For literary publishers however, things are that bit tougher. Despite this however, we remain positive. Positive that our sales will grow again, once people get over the fear of spending money and we won’t need to rely on those hard-to-get grants. And we continue to be proud of our publishing. Basically, we love our books. We love that we can publish work that we feel deserve to be shared with the world, without having to concern ourselves with whims and fads that the big players have to. I am very proud to be published by Salt, they make beautiful books and they give opportunities to those of us who aren't "attractive" to the mainstream, for whatever reason. Read the rest of the blog post here, and don't forget that you can still enter the comp to win a free copy of The White Road and Other Stories, details at the bottom of the blog post! Laura Van Den Berg, writer and assistant editor of the online journal Memorious, has writen an excellent essay about publishing in literary magazines, The Effort Pays Off, in The Review Review, an online review of literary journals (which is new to me but seems a wonderful resource that I must read more). Her essay spoke to me so much that I feel compelled to quote from it here. Many writers never learn this lesson, that rejection isn't personal, it is not an editor taking against you. It is that the editor has a sea, an ocean of submissions, of stories, of pages or screens full of words. And that you didn't catch this editor's eye, for whatever reason, on that day, at that time, for that issue, for the theme, the look the editor was going for. If you are accepted, you’ll know that an editor has been moved, by the power of your words, to care. That you have gone from submission # 935 to a writer of interest and merit. That you have made a passionate connection with a single reader. That with publication, you will likely make more passionate connections with more readers. Yes. That's it. And when it happens, once in every 30 rejections, 50 rejections, how wondrous and joyful it is, to know that you made that connection. That connection with that one editor for that one particular publication on that day. Not because of who you are, where you have published. But because of the words you arranged on the page, in a way that only you can do. But - while publication brings you an audience, brings you readers, won't ever make up for your own sense of self-belief, of confidence in your own writing. It can help, but you gotta love yourself, you've got to do it because you love what you are doing, not in the hope that someone, somewhere, will love it for you. Read Laura's full essay here. I used the collection in my spring writing workshop, and the students pined when we moved to another author for a week or two. Erdrich is one writer whose language is accessible as popcorn--which makes her popular--yet wildly original in its beauty. Her plot twists are sometimes roll-on-the floor funny, but they never hammer you with the predictable. Her characters also slap you, when you least expect it, with the mystery and profundity of life. EWN is posting a myriad of short-story related posts daily in May: check out what would be on short story "mix tapes" by Dawn Raffel and John Fox, John McNally on why anyone writes short stories, Gabriel Welsch on George Saunders' sublime Civilwarland in Bad Decline and Jonathan Baumbach on "fictions, short and long, that redefine possibilities". This is just the tip of the short story iceberg, there is so much more that I am exhausted just thinking about it - visit the Emerging Writers Network and raise a glass for Short Story Month.! I woke up this morning, back in Israel, with a heavy cold, and, inspired by a friend, said to the Universe: "Surprise and delight me!". And, what do you know? It did. 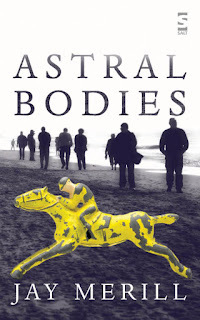 I was utterly bowled over to discover that my flash story, Come Back Tomorrow, originally published in Dogzplot, has been selected by Darlin' Neal for Wigleaf's Top 50 Very Short Fictions of 2009 (stories under 1000 words published in 2008 in US-based journals are eligible). I remember looking at their first Top 50 last year with great envy! What a nice thing to happen of a morning. I am in amazing company in the Top 50, and in the long shortlist of 200 from which the 50 was picked, including Sarah Hilary and Aimee Bender! This is not just an honour but these lists are a wonderful resource for flash writers, providing a wealth of literary journals to read and submit to. Do go and have a look. Only 4 more days! May 11th: Commonwealth Short Short Story competition: Commonwealth citizens only. No entry fee, up to 3 entries, 600 words. Prize is £2000 for the overall winner, and £500 each for regional winners. I can personally recommend this competition (!). Free entry, online!! June 30th: Bridport Prize: Judged this year by Ali Smith (Fiction) and Jackie Kay (Poetry). Entry fee £7 per story, £6 per poem as many as you want to enter, maximum 5000 words (no minimum), poetry 42 lines max. Prize is £5000 for the overall winner of either category, £1000 for 2nd place, £500 for third. Online or postal entry. July 31st: Sean O'Faolain Short Story Prize: Judged this year by Philip Ó Ceallaigh. Entry fee €15, up to 3000 words. Prize is €1,500 for the overall winner, €500 each for the runner-up and €100 for four shortlisted stories. Online or postal entry. 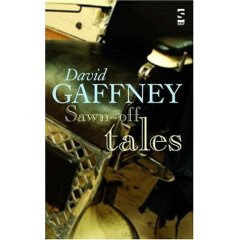 August 9th: Happenstance Short Story Competition: Judged this year by Janice Galloway (Read Sara's review of her book here.). Entry fee £5 (£6 online entry), up to 2500 words. First prize: £150, Second prize: £75, Third prize: £50. Online or postal entry. August 31st: Juked 2009 Fiction and Poetry Prizes: Judged this year by Dan Chaon (Fiction) and Dora Malech (Poetry). Entry fee $5 per story or oer 5 poems, no length requirement for fiction, ten pages max for poetry. First prize: $500. Online or postal entry. August 15th: Etchings: Theme: Love and Other Things. Fiction, personal & creative essays, poetry, art, and photography for issues 7 and 8. Payment AU$75. Also: a new blog post on The Short Review blog about the recently-announced Edge Hill Prize for the Short Story shortlist and how it compares to last year. As some eagle-eyed readers of this blog may have spotted, I am to be found this week discussing how my book came to be published and what happened next over at Jane Smith's excellent How Publishing Really Works blog. I have tried to give as honest an account as I could of the process to date. This is the second, I believe, in Jane's Trios series, where an author, a publisher and a bookseller discuss a book from their particular aspect. Jen Hamilton-Emery from Salt and Sara Crowley, short story champion at Waterstone's will be interviewed there shortly. 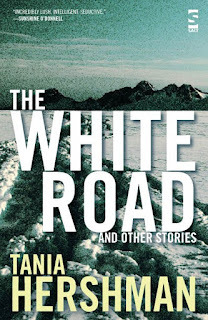 And... for all those of you who don't yet have it, I will be giving away a copy of The White Road and Other Stories to one lucky blog reader...What are you waiting for?? Coming to the end of my very short trip to the UK, here is a quick round up and what I hope is interesting information from my experience of meeting two literary agents. First, two of my flash stories were shortlisted for the FISH One Page short story competition, but alas once more it was not to be! Congratulations to the winners. 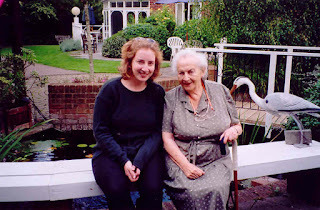 Second, it was my grandmother's 100th birthday yesterday (this is a pic of me and her a few years ago), and the party held in her nursing home, complete with cupcakes with her name on (! ), felt like a truly historic event. There was the card from the Queen (no telegrams any more), and many family members, some I had never met. And my grandmother, Zara, beaming from her wheelchair. And this is book-related: My aunt and uncle had made Zara's dream come true by producing a beautiful, hardback book with extracts from the memoirs she has been working on almost as long as I've known her, complete with photos. Totally wonderful, I look forward to getting my copy - and was astonished to be summoned by some cousins and shown a photograph of my grandmother in 1927 which really did look like me. Genes, eh! When I get the book in digital format, I may post the photo here and see what you think. I don't really look strongly like either of my parents, so this was something quite lovely. Agents. OK. Buoyed by the Orange Award commendation, which gave me the feeling that the world was open to me in a way that it hadn't been before, I had set up two meetings in London with agents who had been personally recommended to me. I was excited yet unsure: how would the meeting go? Who would speak first? What would I say? I realised I do have something for an agent to sell right now: the foreign rights to The White Road & Other Stories. But I have only small pieces of future projects, and I feel that some of what I am writing now is very different from the stories in my collection. How would it all work? I really feel the need now for someone to be waiting for me to produce something. My journalistic training means I thrive on deadlines, and I have had no deadlines for the past few years, no-one waiting for me to do anything. But how long would an agent wait? So, the first meeting on Friday afternoon took place in a cafe near the agent's office, at her suggestion. She was lovely, very friendly, and when she immediately said she loved flash fiction, I was delighted! We talked about short stories, about my writing etc.., about ideas for future projects. But she had to go after less than an hour and as I walked back to the station I realised that I had been left with more questions than answers, quite possibly because I hadn't known what to ask. I also was unsure how it was left between us, a bit like a first date after which you wonder if they'll call you! I was much better prepared for today's meeting with Agent 2, having made a list of questions. We met in her agency's offices, beautiful and book-filled, which created a great first impression. And although we met for the same amount of time as my first meeting, I felt that all my questions were answered and I got a very clear and good impression of what she and her agency do and could do for me, and what she would like from me in order to see if we could work together. (She gave me two short story collections to take home, which I won't name since that would give it all away, but which is always a way to my heart!) Bumping into a rather well-known author in the reception also made a great impression :) I would suggest that if possible, you always meet an agent at the office, just to get a sense of the atmosphere. And - do write a list of questions! I didn't do that for the first meeting, and that was a mistake. So, we will see. If one of these agents really likes what I am working on now, then we could move ahead and I will have someone nudging me and spurring me on! Flying home tomorrow, back to work, back to writing and thinking. Will keep you updated.